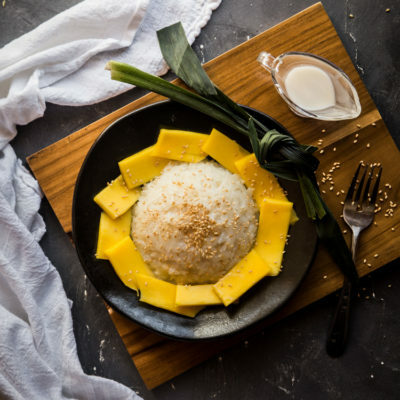 This super easy gluten-free popular Thai dessert is made of white sticky rice/sweet rice/glutinous rice cooked and then served with coconut milk, slices of mango, and sprinkle of sesame seeds. It's creamy, it's sweet, it's slightly salty, it's AMAZING! !